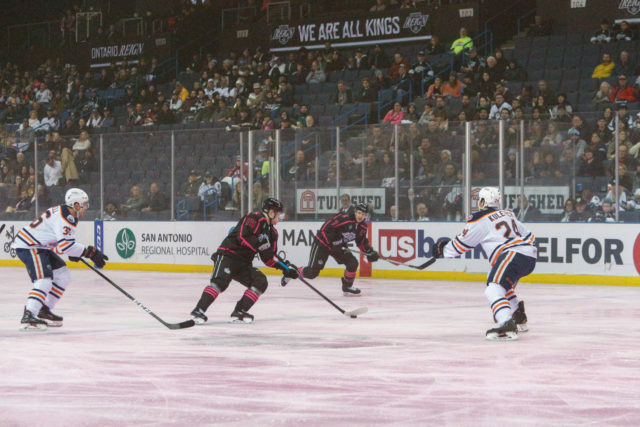 The Reign showed energy and response after last night’s 6-1 defeat in San Diego, but the final outcome proved to be nearly identical, as they fell 6-2 on home ice against Bakersfield. 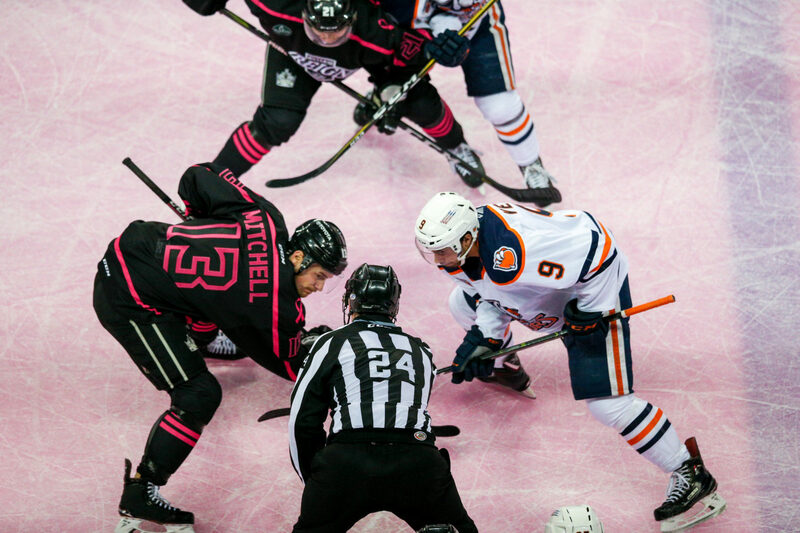 Ontario created chances and had their opportunities but it felt that after the hosts were unable to create at one end of the ice, the Condors went the other way and three passes later, the puck was behind goaltender Cal Petersen off of an odd-man rush from the visitors. 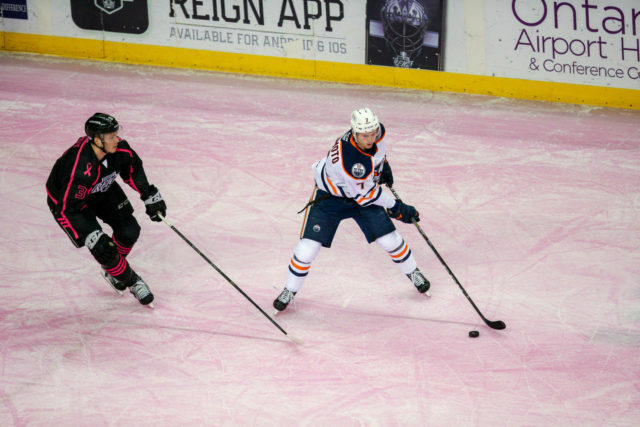 And once those chances added up, the Reign found themselves on the wrong side of a lopsided box score, despite what was a better effort that yesterday. 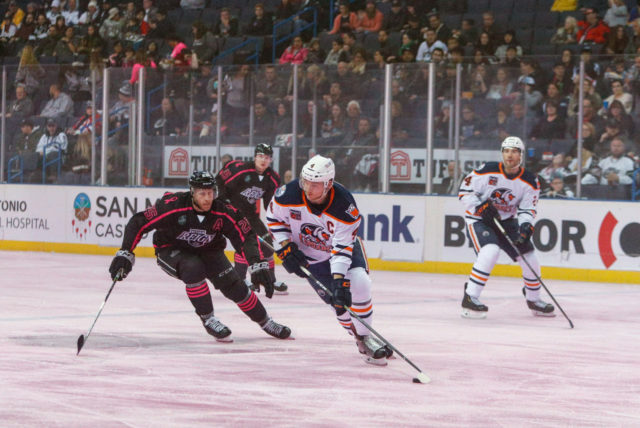 At the end of the day, the final score is what is counted in the standings and Bakersfield picked up two points as it extended its winning streak to 10 games, the longest such streak in the AHL this season. Ontario had 33 shots on net, compared to 32 from Bakersfield, and at times it felt as if it controlled stretches of play for say three to four minutes at a time. But, seemingly with a snap of the fingers, it took one rush the other way to create a Grade A scoring chance that wiped out any of that positivity. 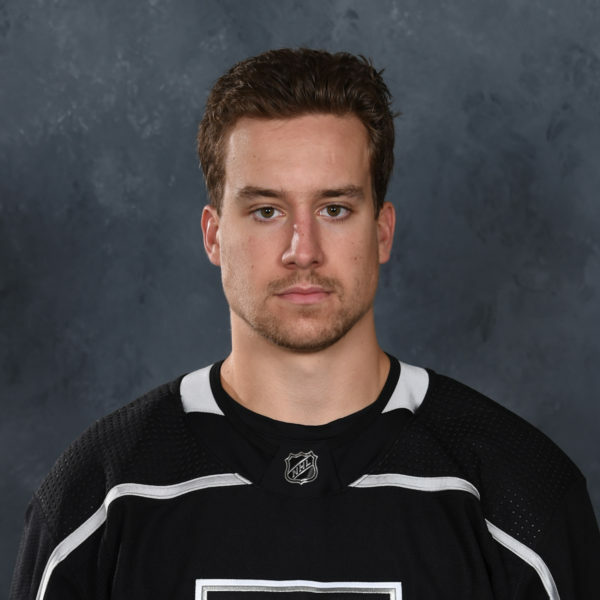 Whittier, California native Mitch Callahan led the way with three assists for Bakersfield, while forward Evan Polei and defenseman Caleb Jones each scored twice for the visitors. 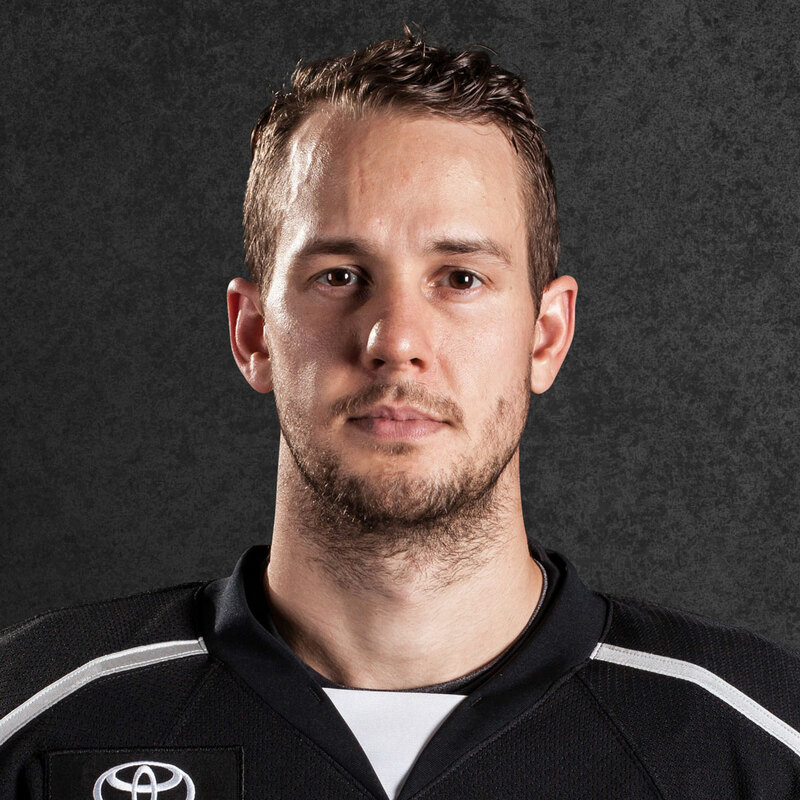 Shane Starrett was solid in net for the Condors, as he stopped 31 of 33, with the two Ontario goals being a Brett Sutter pass that deflected off of a Bakersfield player and in, and a Kurtis MacDermid wrist shot from a good area on the ice, that came with less than two minutes to play. Cal Petersen stopped 26 of 32 at the other end and, for the second straight night, will have to eat a statline that is worse than his on-ice performance. 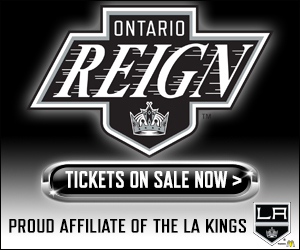 Ontario is back in action with a mid-week tilt in San Diego against the Gulls, followed by a rematch in Ontario on Friday, the final between the two teams this season in the Inland Empire. Of course it’s different. 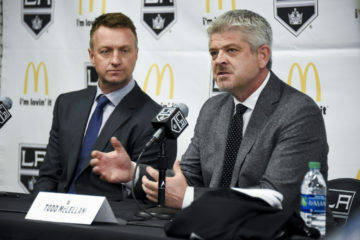 It’s a new system and new guys, so it’s probably going to take a couple of games to get to know where everyone is going on the ice and stuff like that. Personally, I felt okay, I think I cold play better. I’ve got to capitalize on my scoring chances for sure, but other than that, it’s been fun, it’s a great group of guys here. We need to play better defensively and we need to score on our chances as well. It’s a tough game out there, you’ve got to score on the chances you get. I’m just going to play my best, try to get to know the guys and play as good as possible. I play hard, fast and play creatively in the offensive zone as well. That’s pretty much my type of game. Great organization, they have a couple of really good players, star players of course. Good expectations for sure. It’s absolutely amazing to me, the difference. The outcome was the same but I thought our team played much better, had more energy, we were physical, we were creating some things, it was a much better performance than we had last night in San Diego and yet, they found ways to score and we didn’t. It’s frustrating, because I genuinely thought the guys had a good response to what was probably considered a lackluster performance last night and then if you walk away here and you look at the score you’re thinking “that can’t be true”, well it is. It’s a weird game. Right now, it’s a tough battle for the guys and you’ve got to feel for them. They played better than the final score indicated. Bakersfield took advantage of their opportunities. Scoring doesn’t come naturally or easily for our group. Some of the teams that we’ve played seem to capitalize, have a little bit better finish, a little bit more depth to finish in those area and it stings. You look at a guy like Cal, he’s in that net and he’s battling, coming with some big saves for us and the goals that they got on him, they were bombs, just ripped from between the faceoff circles, right down the pipe. To his credit, and to all their credit, they battled. Cal did not want to come out of the net, he wanted to finish the game, which is a very admirable quality. We talked about it in between periods, there’s no easy way out of this. To just hang your head and think it’s going to turn around, it’s not. It’s going to take some work, it’s going to take some time. We’re kind of in a rebuild process ourselves here, with the direction that we’re going. You’ve got four, five regular guys playing up with the Kings. There’s going to be nights like this, but I’m encouraged that I thought the guys played hard until the final buzzer. You just keep going back into the battle. We’ll prepare, we’ll do some things that we think that we need to improve upon and we’ll do some things that we anticipate San Diego will do and it’ll be like a normal routine. You’ve got to stick with it. There’s no sense in saying “woe is me”. We are who we are and we have what we have. We’ve got to make the best of what we have. Somehow, we’ll continue to find positives in each and every game, whether it’s a win or a loss. We’ll build on those positives and we’ll get better each day. Maybe it’s only marginally, maybe it’s not reflective in the standings or in the win column, but we know that these guys are developing and they’re getting better. When they finish the season, they’ll be better than the way they started the season. 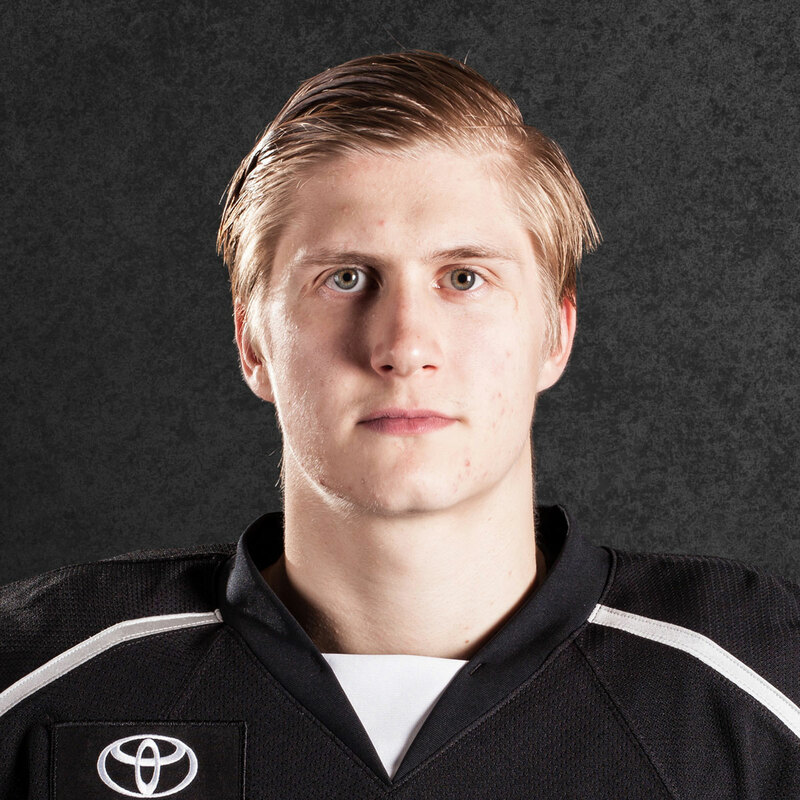 He just looks like a hockey player. He puts on the uniform, he goes out there and he looks like a hockey player should. He plays hard, he plays physical, he’s a solid guy, he skates well, he’s got a quick shot, a heavy, quick release and he’s got some good, natural hockey instincts. You look at him and you go “that’s a tough start for a guy that comes over from a team that just won the Calder Cup last year, to a team that’s struggling to find wins,” but’s come in with a great attitude and I think he’s excited to be here. 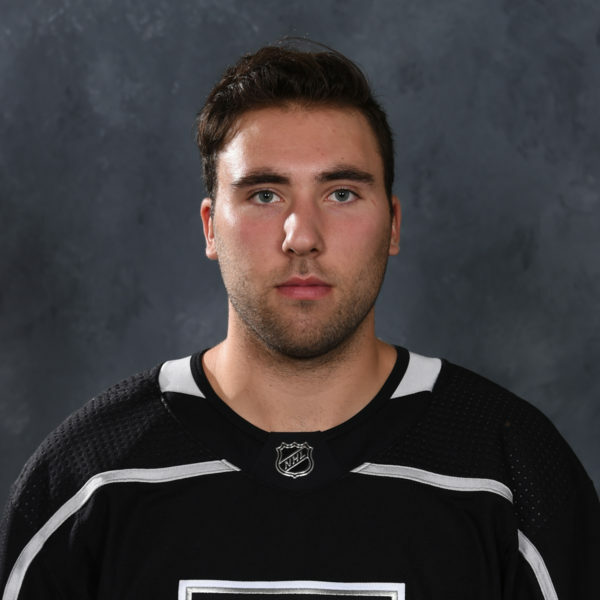 He wants the opportunity to be a part of the Kings organization, he wants an opportunity to be a part of the future and I think it’s a step in the direction we know we need to go. We need some younger guys, we need some skill, we need some hockey sense and I think he fits all those categories.